The CAAHEP-accredited Medical Assisting program at the Southern California Regional Occupational Center has a job placement rate of 100% for the graduating class of June 2017. Graduates of the CMA program are extremely satisfied with the education that they receive at SoCal ROC, as there is a 100% graduate satisfaction rate. Based on the results of the Employer Survey for this graduating class, the employer satisfaction rate is also 100%. You will acquire a variety of clinical skills including utilizing Universal/Standard Precautions, administering injections, performing venipuncture and electrocardiography, assisting with medical office procedures, and the correct use of medical terminology. You will discover a dynamic approach to administrative skills including medical law and ethics, patient records, receptionist duties, and an introduction to computers and insurance. Basic computer and math skills are strongly recommended. Students are required to complete 160 hours of unpaid externship. Externship is mandatory. 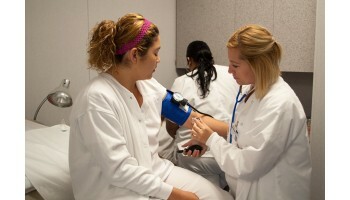 The Certified Medical Assisting program is accredited by the Commission on Accreditation of Allied Health Education Programs (www.caahep.org) upon the recommendation of the Medical Assisting Education Review Board (MAERB). Commission on Accreditation of Allied Health Education Programs, 1361 Park Street, Clearwater, FL 33756 727/210-2350 (www.caahep.org) Only graduates of CAAHEP accredited programs are eligible to sit for the AAMA National Certification Test. In order to apply for the national exam, the applicant must provide a social security number. Only students who successfully complete the accredited course and pass the written exam become Certified Medical Assistants (CMA) and are eligible to receive a Certificate of Competency from SoCal ROC. Gabriela H. has successfully found employment as a Certified Medical Assistant after completing course(s) in Certified Medical Assisting. Jeremy Z. has successfully found employment as a Personal Trainer after completing course(s) in Personal Fitness Trainer. Mayra B. has successfully found employment as a Office Clerk after completing course(s) in Administrative Office Assistant.